We are very pleased to announce that we have had another successful Open Week this year! Numerous families popped in to visit us and one has already signed up to start this week. 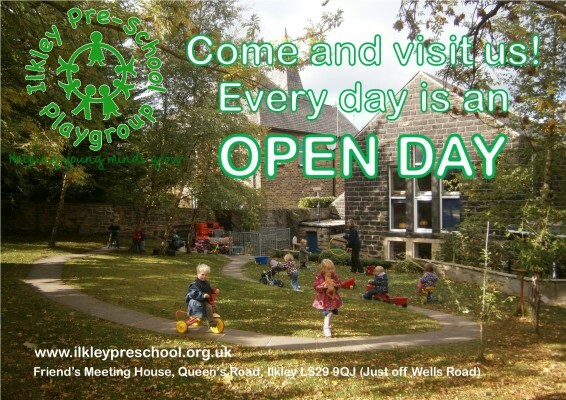 But that doesn’t mean our doors are now closed to everyone else – as ‘Every Day is an Open Day’ at Ilkley Pre-school and we are happy to show people around our lovely premises and big garden whenever they would like to come. 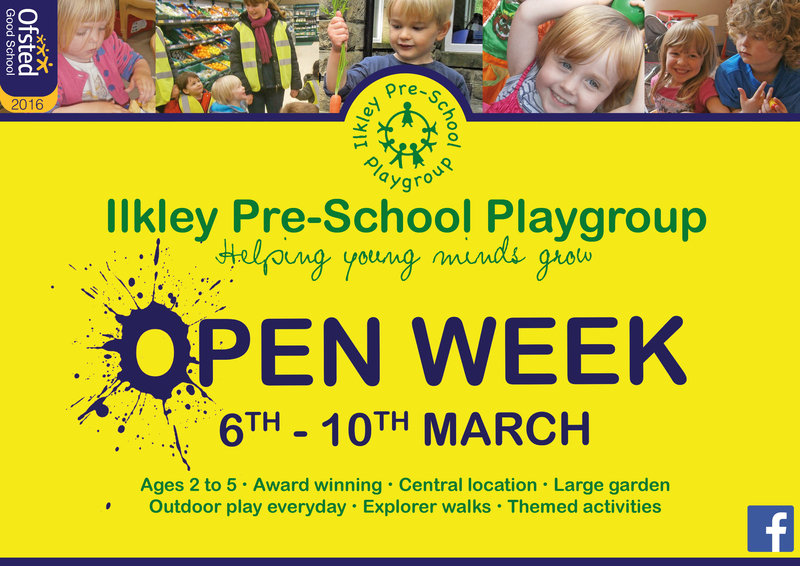 Please call us on: 07754 793644 or email us at: ilkleypreschoolplaygroup@hotmail.co.uk or simply knock on our door. We will always be happy to welcome you.